***ONE OWNER***, ***ACCIDENT FREE***, ***BACKUP CAMERA***, ***POWER LOCKS***, ***160 POINT INSPECTION***, ***POWER WINDOWS***, ***15 PASSENGER SEATING*** Oxford White 2017 Ford Transit-350 XLT RWD 6-Speed Automatic with Overdrive 3.7L V6 Ti-VCT 24V Rusty Eck Ford Inc is offering this 2017 Ford Transit-350 XLT, in Oxford White and Charcoal Cloth, only 41992 miles, ABS brakes, Electronic Stability Control, Illuminated entry, Low tire pressure warning, Remote keyless entry, Traction control. 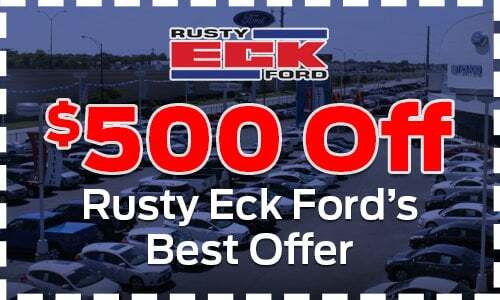 Awards: * 2017 KBB.com 10 Most Awarded Brands * 2017 KBB.com Brand Image Awards Rusty Eck Ford. 63 years of helping the community and providing quality to customers just like you.